Working with wood and woodturning has always been an important part of Dave Appleby’s life. He spent many hours as a teenager, working in a shed in his family’s back garden on a small lathe, which had an electric drill as motor and drive centre. Although woodturning was not Dave’s main career it was an integral part of his life and he took every opportunity to increase his skills. His workshop developed over the years and he now has three lathes his favourite being his VB36 Bowl Turning Lathe. 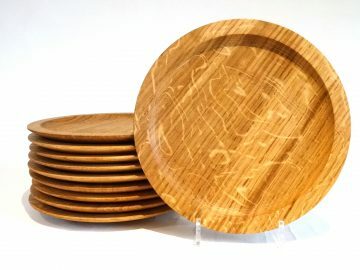 In 2001 he made the decision to immerse himself in his woodturning as a full time business. "Woods I use are almost entirely from recycled and sustainable sources. Some have been rescued from the log pile or from local orchards, farms and gardens. 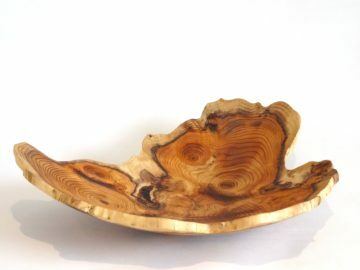 Inspired by organic forms and natural surroundings I allow the beauty of the wood to suggest the shape and purpose of the piece, sometimes incorporating carving and texturing or adding other natural materials such as leather, gold leaf or pewter." I’ve turned this piece from a rough turned blank found in Ray’s workshop after his death in September 2018. 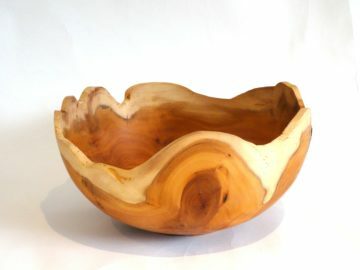 It is a natural edged Yew bowl 320mm X 160mm. In addition to exhibiting in galleries in the South West of England I take commissions for special items, demonstrate and teach in local woodturning clubs and offer 1 to 1 tuition at my workshop. 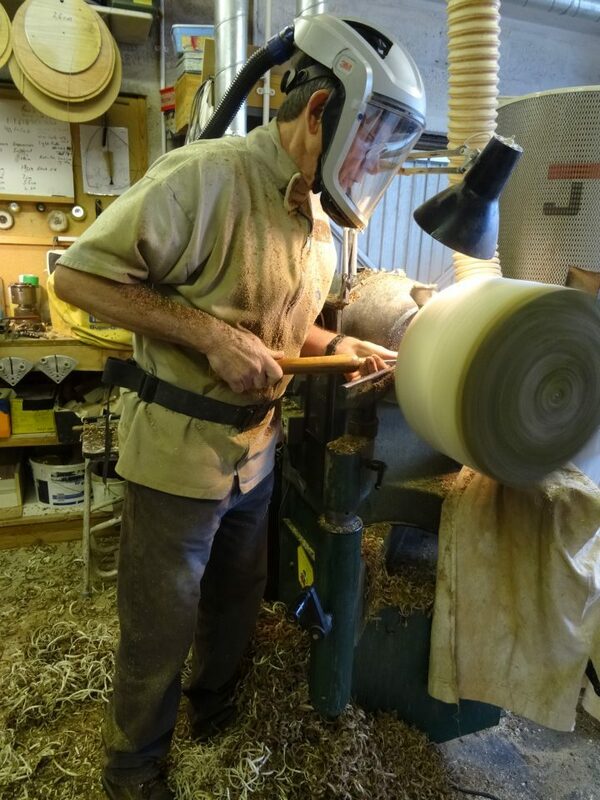 Dave is proud to be a member of The Somerset Guild of Craftsmen a Registered Professional Turner and a member of the Woodturners of Great Britain. He is a long standing member of the Martock & District Woodturners Club. You can find more information regarding tuition and demonstrations here or contact me directly to discuss your needs. They meet at Fremington Village Hall EX313BG. I am demonstrating for Torbay Woodturners in the evening on Tuesday 1st October 2019.